Ueno has been the gateway to Tohoku for many years. 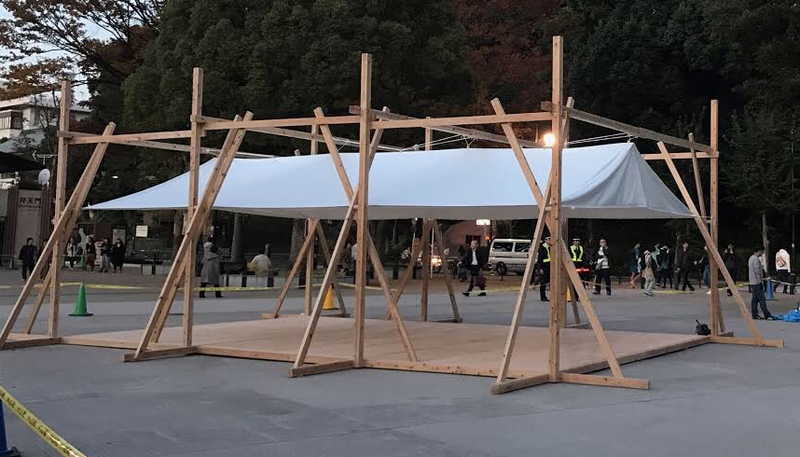 Recalling its history, we create a meeting place by introducing José María SICILIA’s activities in Tohoku, which have been ongoing since the Great East Japan Earthquake, for people who experienced the disaster and people who visit Ueno Park. Supported by El Instante Foundation. In association with Iwate Prefecture. Imagine the Great East Japan Earthquake and form plasticized Wagashi, Japanese sweets Nerikiri, with paper clay. *No reservation. On first-come–first-served basis. Professional confectioners in Ueno make Nerikiri: Japanese sweet, with Sicilia’s molds by adding their feeling for the disaster. The Nerikiris are exhibited and served to audiences at the end of the exhibition. *Free access for exhibition, tasting on first-come-first-served basis. *Both talk sessions require no reservation and welcome all visitors. Please note that the event may be relocated or canceled in case of rainy or stormy weather.